You must keep your promises to God. Back in 60 AD, Jews avoided using God’s personal name when taking an oath. Instead they would use a reverent sounding substitution in order to appear sincere. How often do we as Christians make a promises in the name of God whether in church, at small group or in our community. 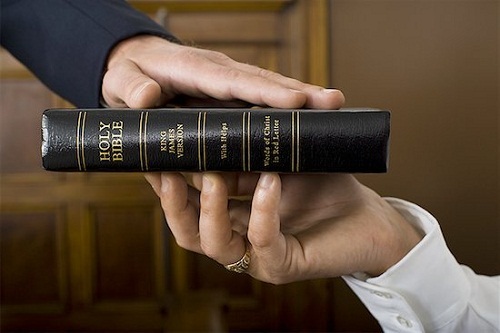 The Bible condemns making vows or taking oaths casually when you know you aren’t fully committed to keeping your word. Jesus tells us not to take oaths at all. This seems counterintuitive, but Jesus’ message is that our word should be enough. He encourages us to act with integrity in all areas of our life. When we do so, we can be our authentic selves and therefore do not have to make promises in order to redeem trust. If we tell the truth all the time, we will have less pressure to back up our words with an oath or promise. Do not swear by your head. What Jesus means is that we do not have the authority to create or destroy things over which God has authority. Swearing against God aligns us with the enemy. Just as he attempted to assume God’s position, so do we when we attempt to sit on a false throne. Jesus calls us to be genuine in our pursuit of honesty and personal integrity. He asks us to keep our promises to God and ask for forgiveness when we fail. The grace in this lesson is that God always keeps his promises to us, no matter how many times we fall.